This past week, former Governor of Alaska Sarah Palin was in the news, so you know what that means? Former head writer and forever Saturday Night Live queen Tina Fey is stopping by the show’s cold open. Wearing one of the craziest, sparkly, shaky cardigans we’ve ever seen, Fey took the stage with Darrell Hammond, who once again reprised his role as Donald Trump. 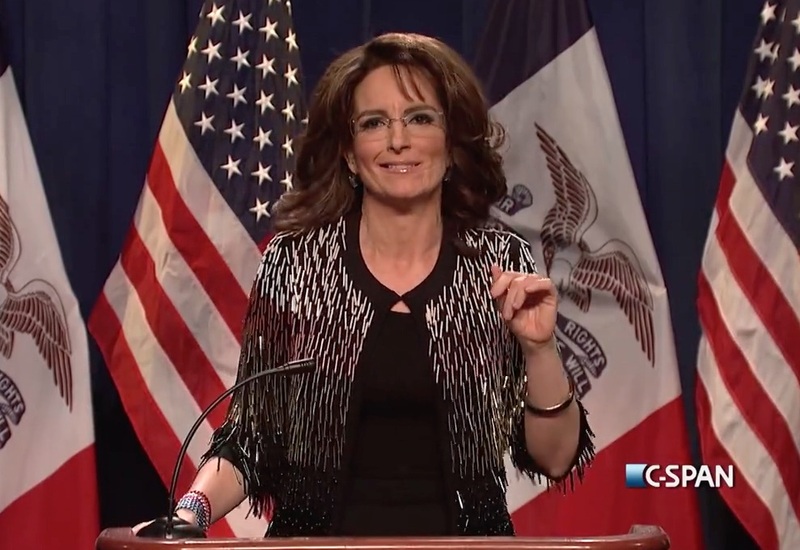 Palin endorsed the current presidential nominee earlier this week, and Fey showed up to skewer that. But really it was all about listening to Fey slip seamlessly back into this role without missing a beat. It feels like 2008 all over again! And since we’re still a whole 10 MONTHS away from this year’s election, let’s hope that Fey finds time to stop by SNL one, or fifteen, more times.